 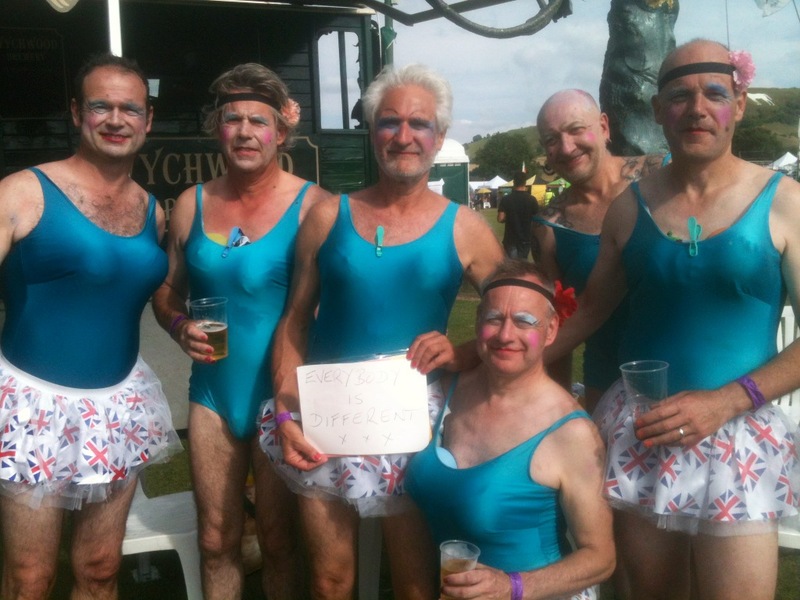 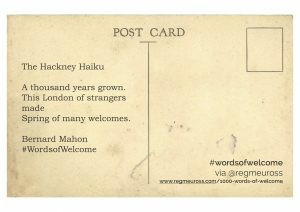 Please send me a little poem or a short lyric, a couplet or a haiku. We need to undo the offence and hurt inflicted on immigrants and refugees in this country that has been caused by terrible words written and spoken in the last few days. 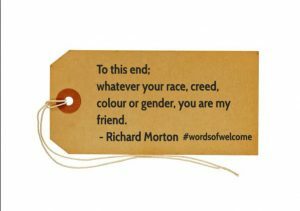 I am asking you to help me replace them with beautiful, supportive and welcoming words. My aim is to gather a thousand short poems that show how elegant and graceful the English language can be rather than how harsh and brutal. 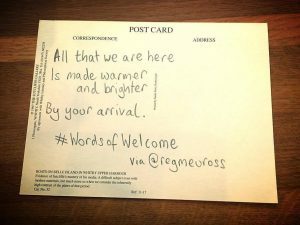 I want people who arrive here from all over the world to know how our language can be generous and warm rather than mean and vicious, and how we can use words to make people feel welcome instead of like unwanted vermin. 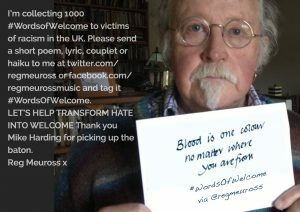 and positive to counter this horrific abuse. 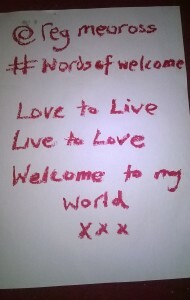 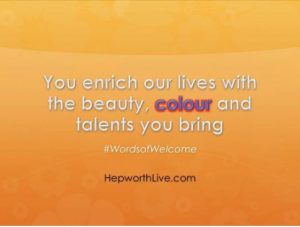 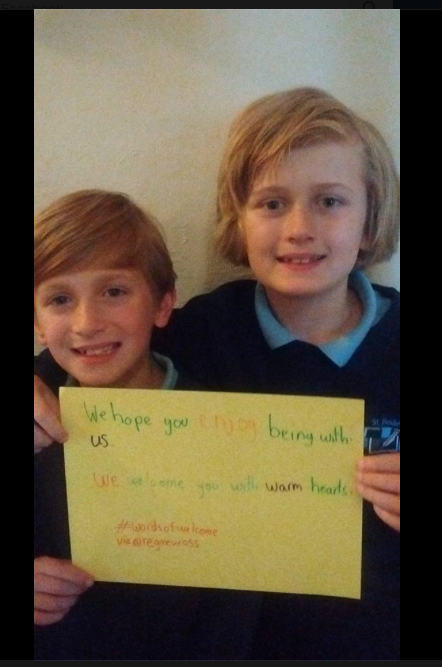 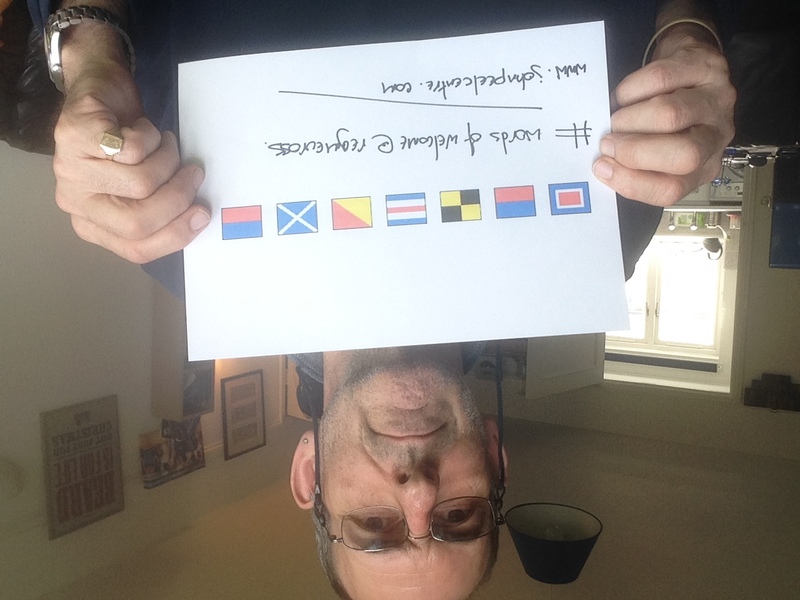 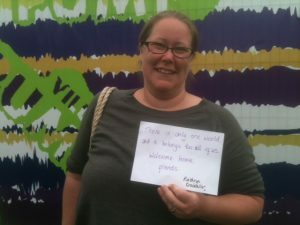 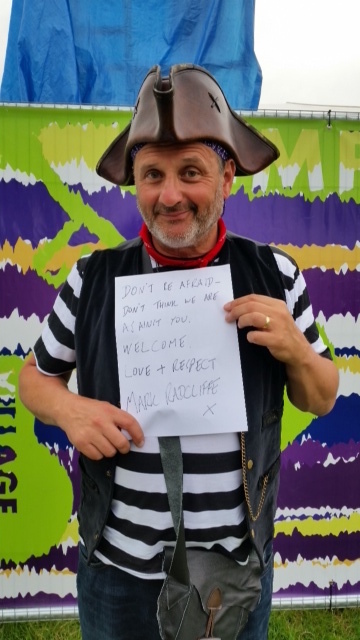 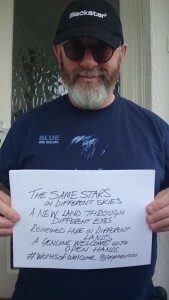 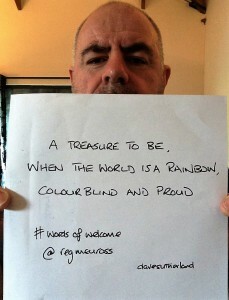 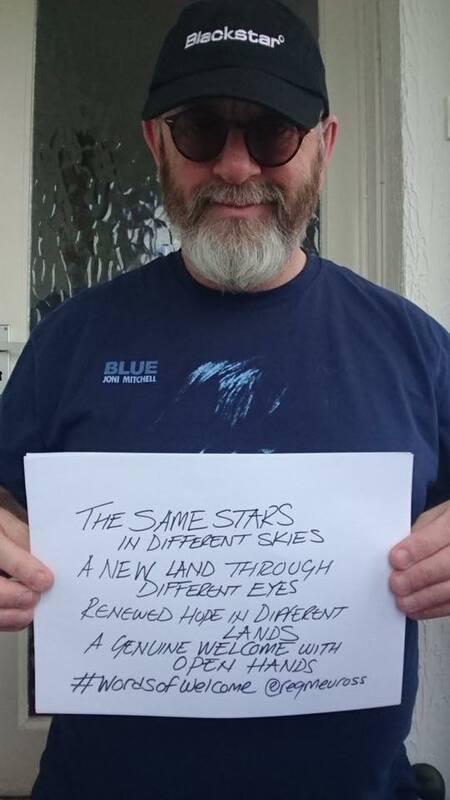 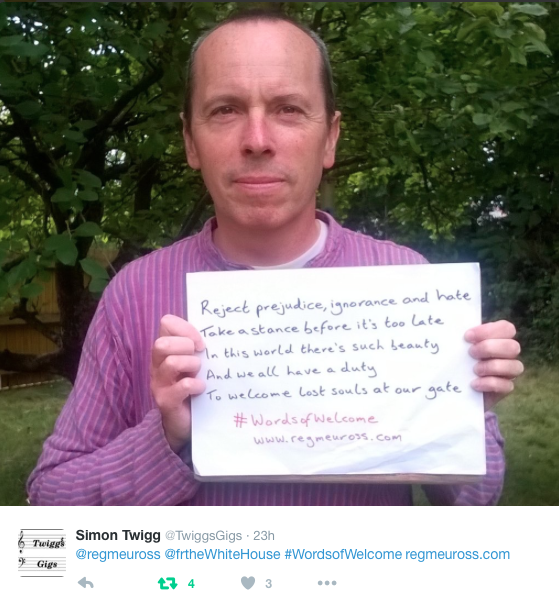 I’m starting this #WordsofWelcome campaign therefore to counter ugly and threatening language with words of welcome. 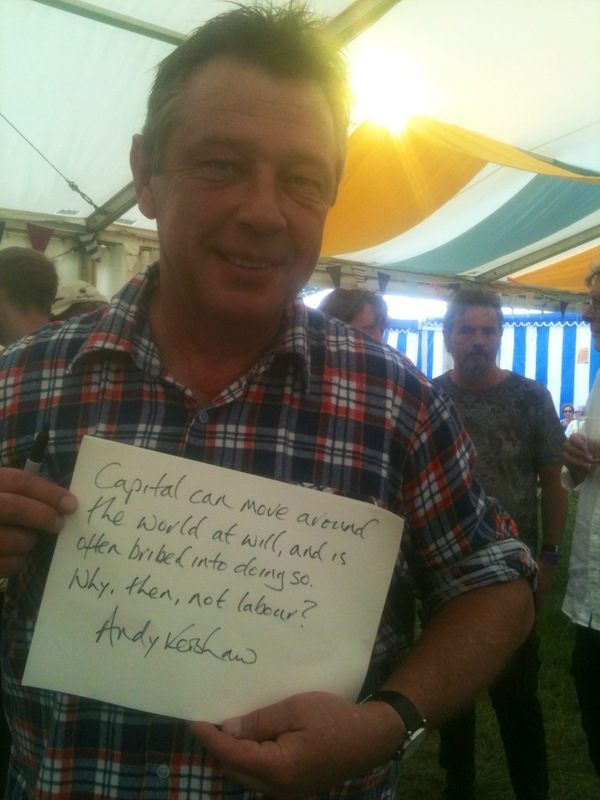 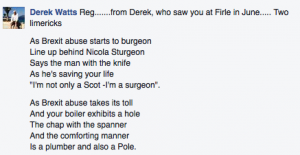 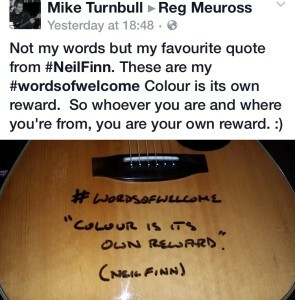 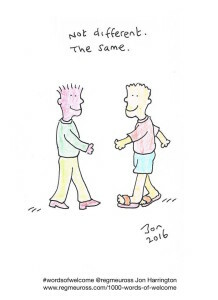 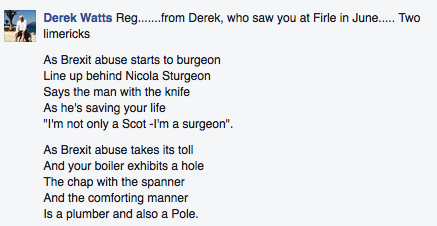 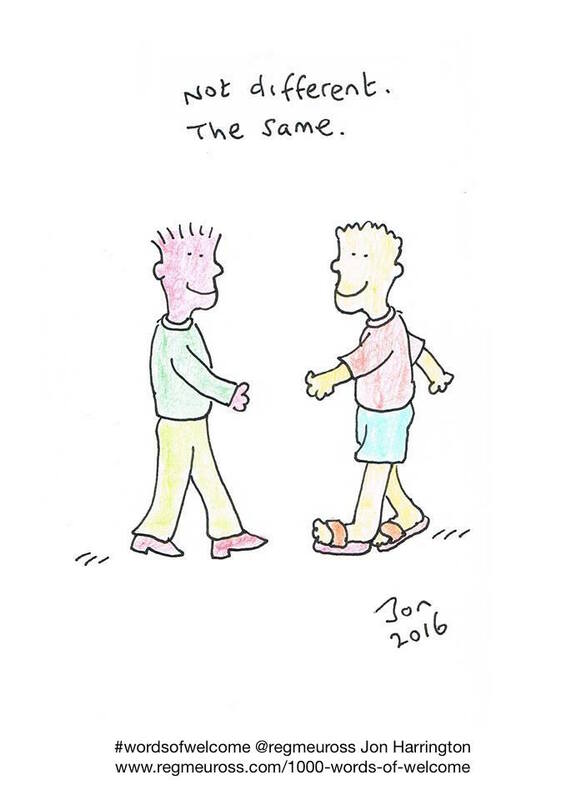 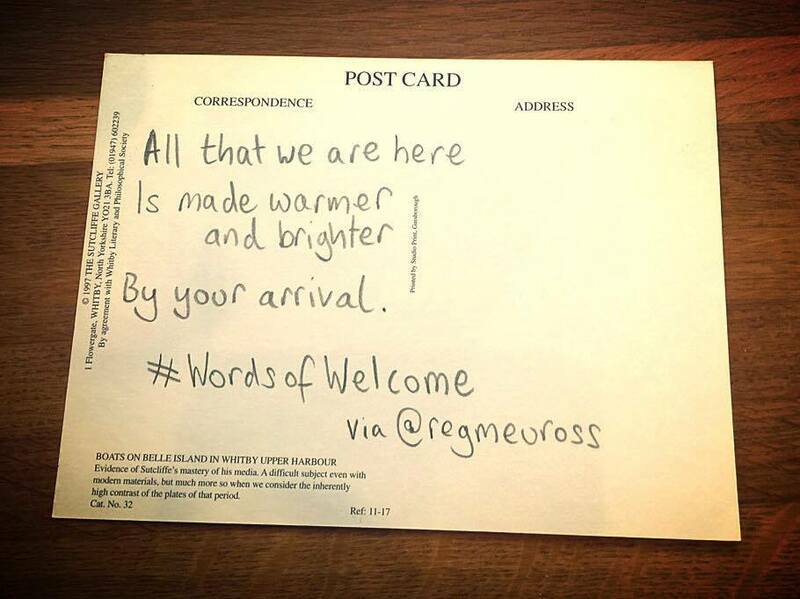 I’d like to get a collection of couplets, rhyming or otherwise, together – each its own little offering of welcome. 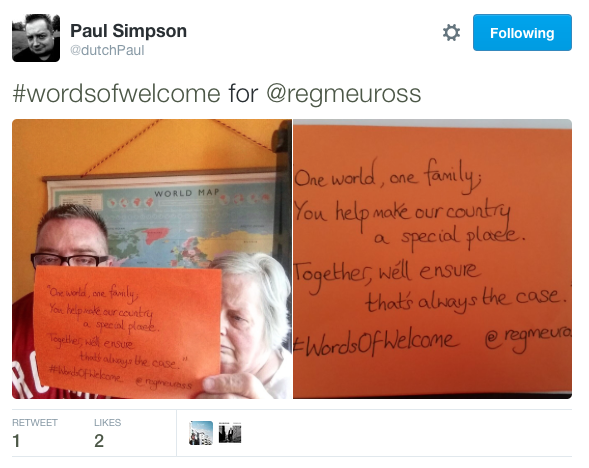 We are all people who use the English language for our work. 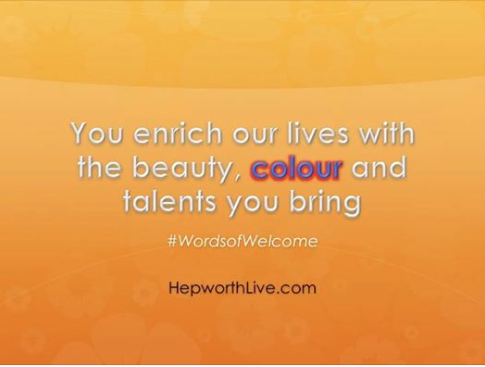 We all know both how beautiful it can be and how powerful. 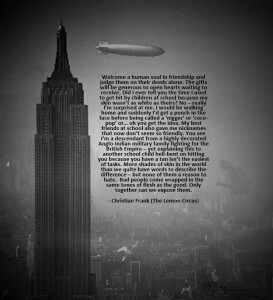 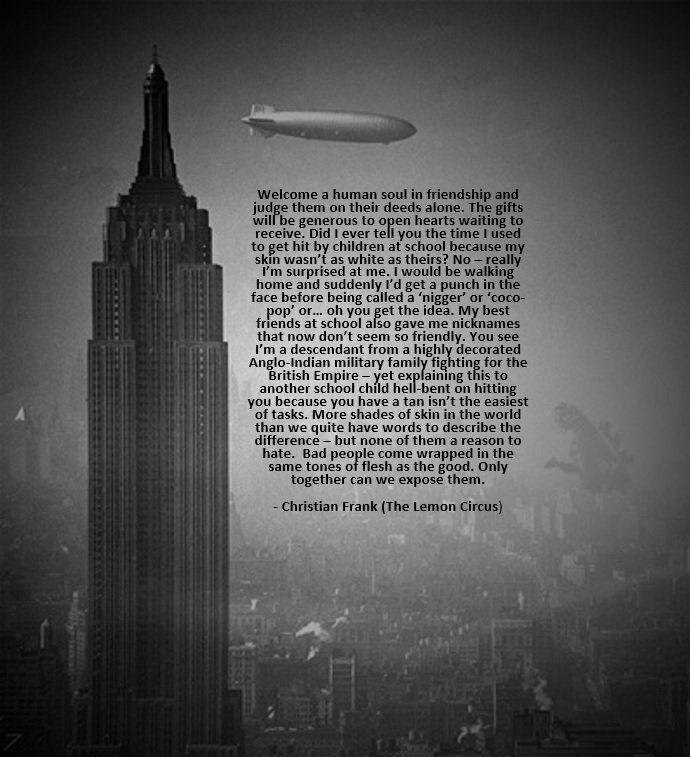 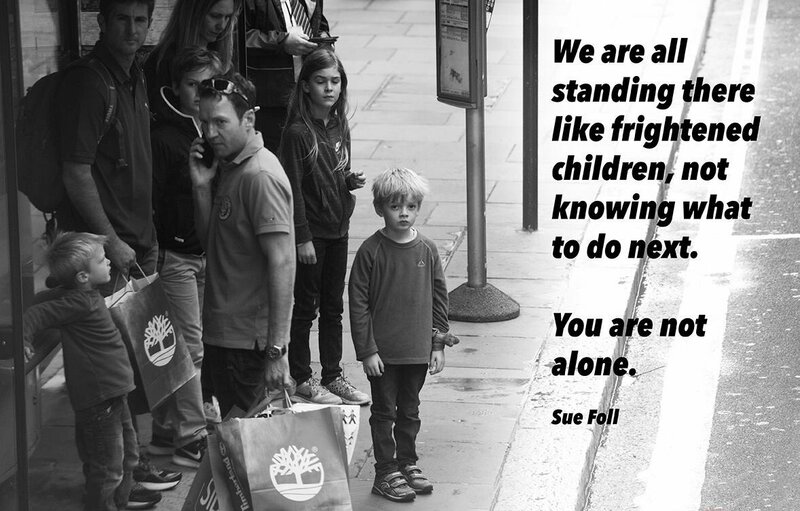 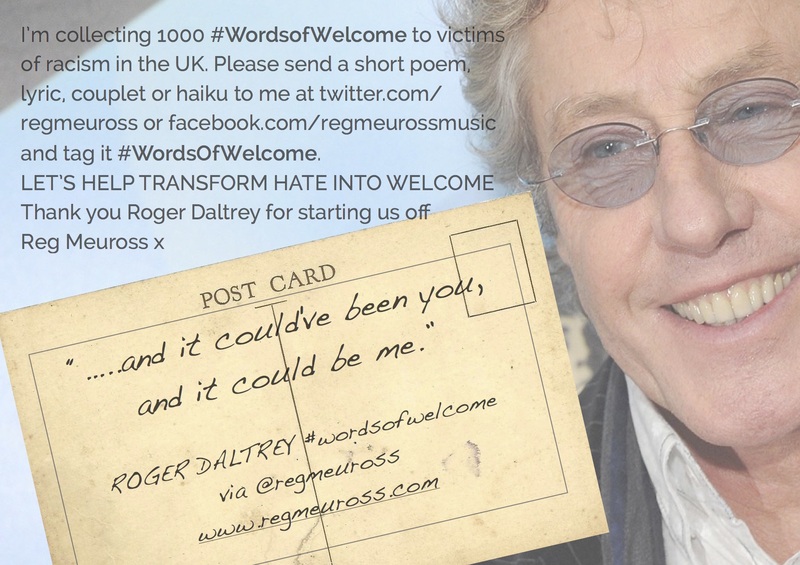 So please help me turn these words of hate around and transform them into words of welcome. 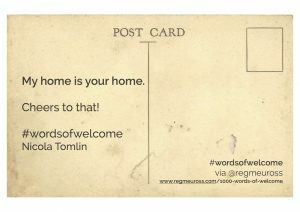 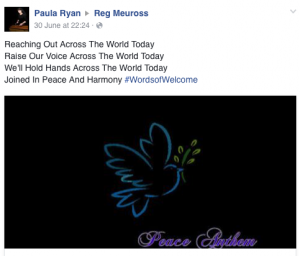 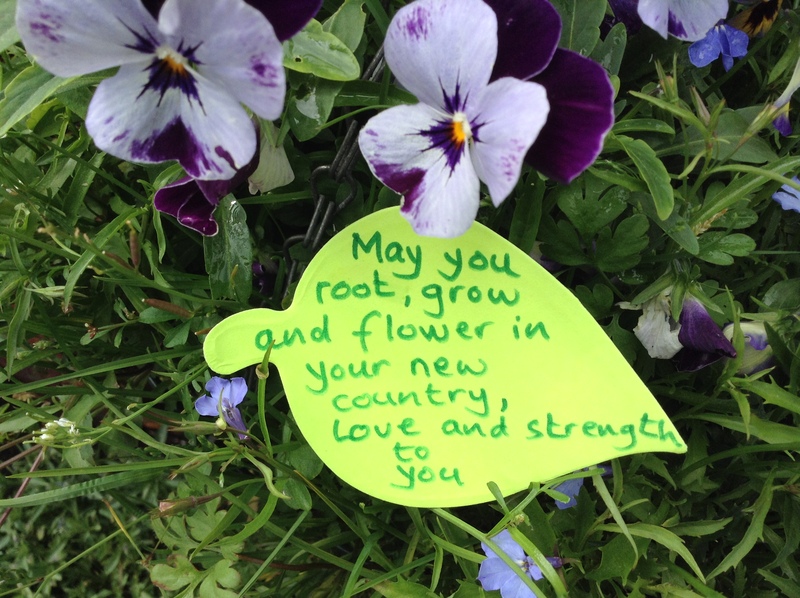 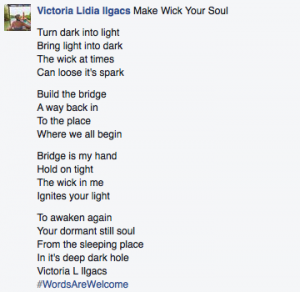 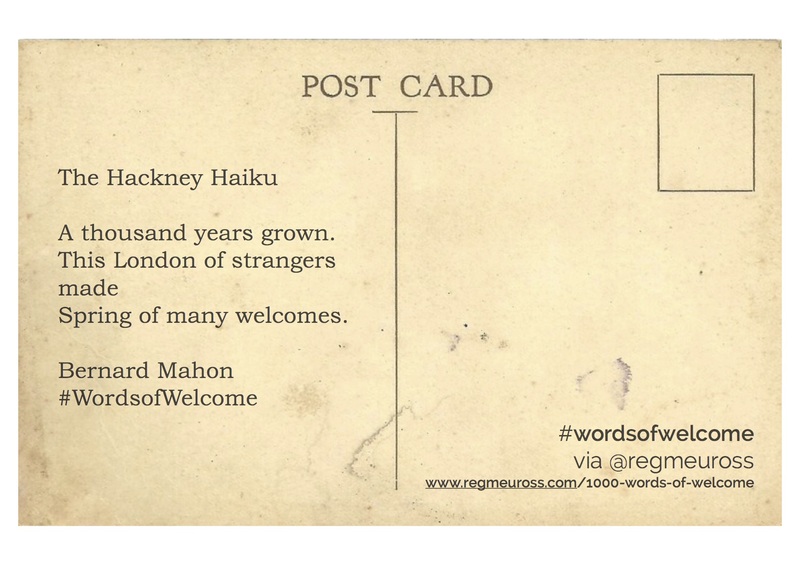 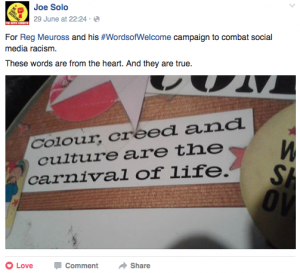 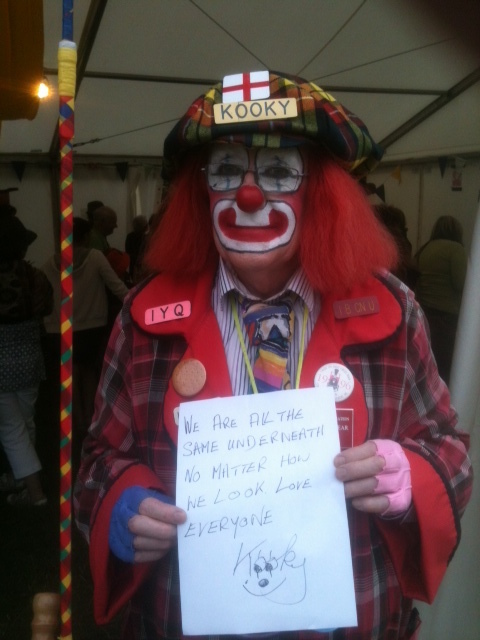 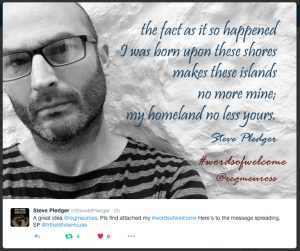 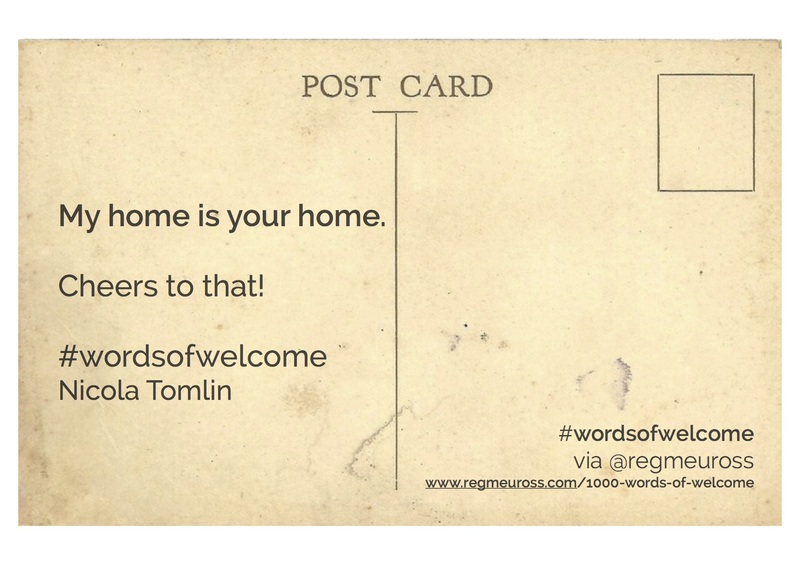 You can send me your #WordsofWelcome by email or ideally on Facebook or Twitter. 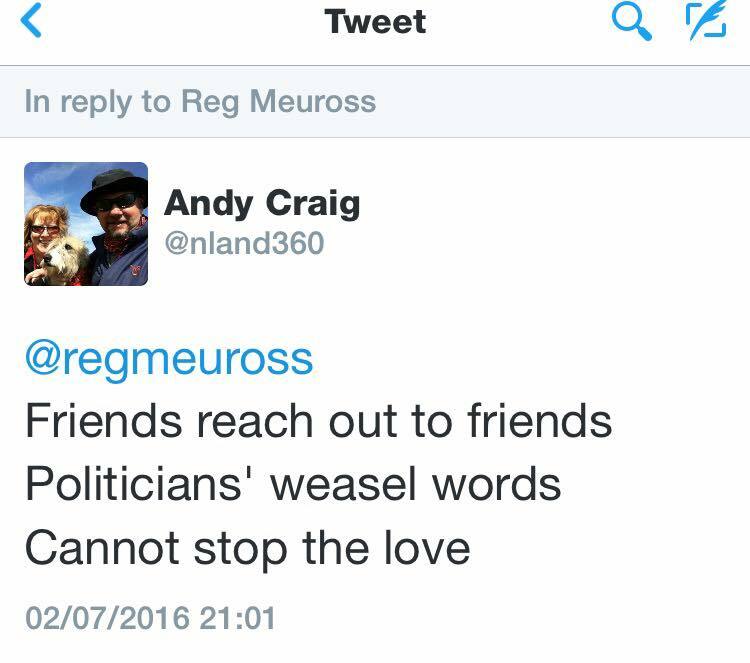 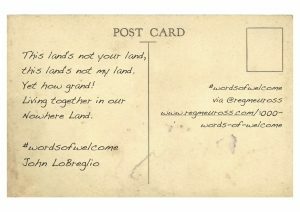 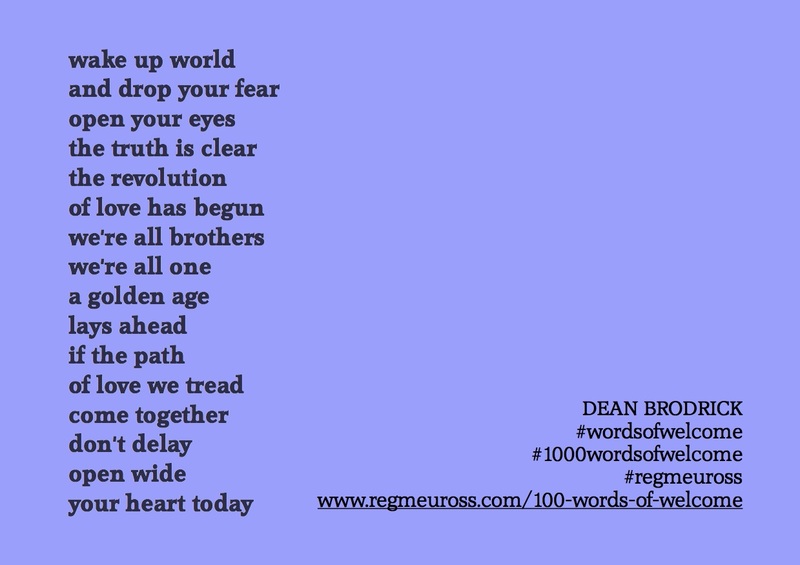 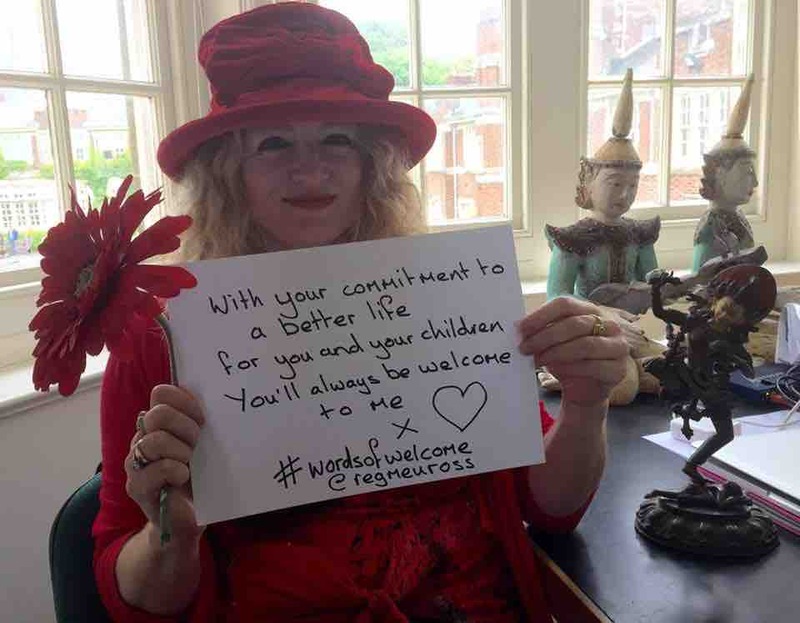 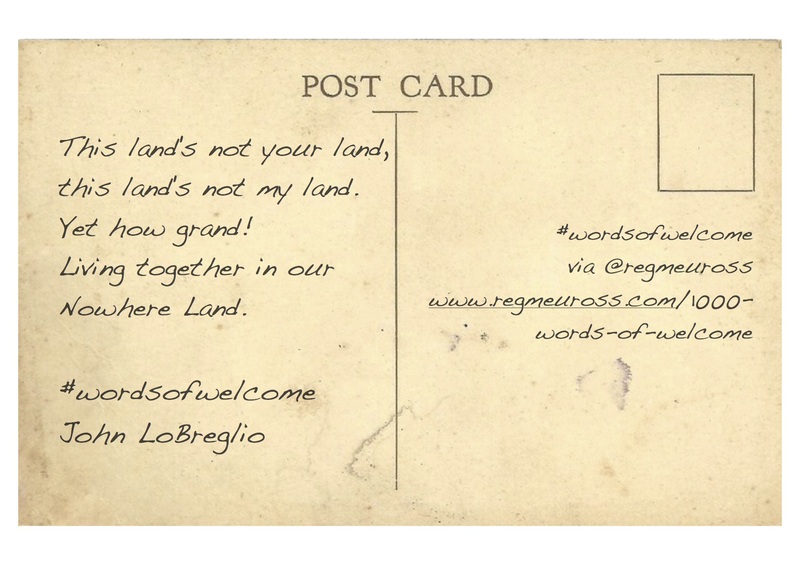 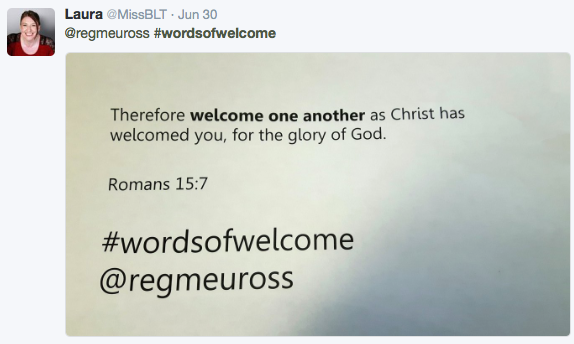 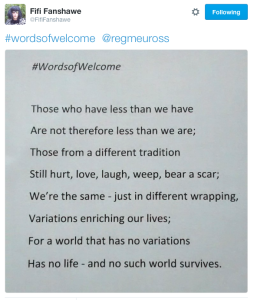 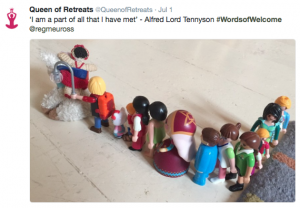 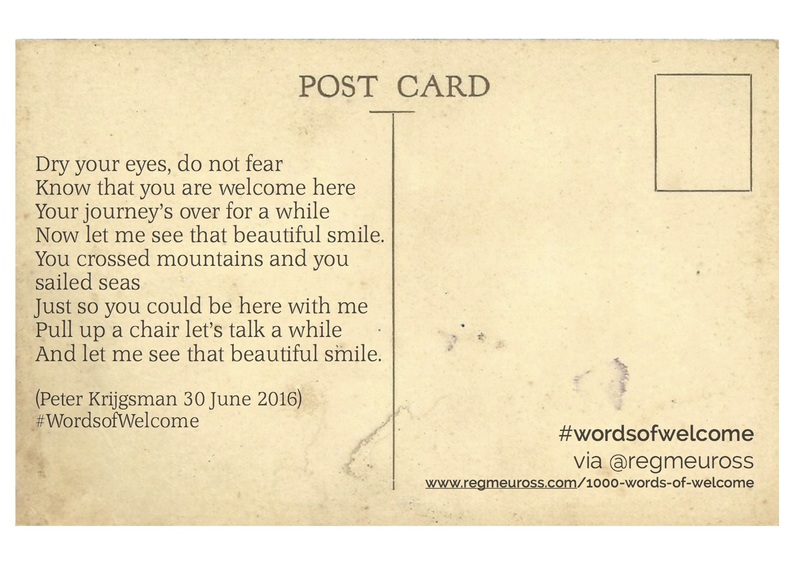 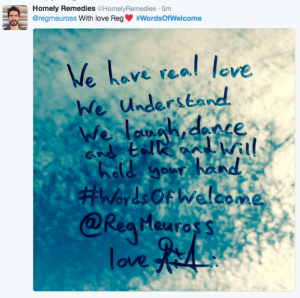 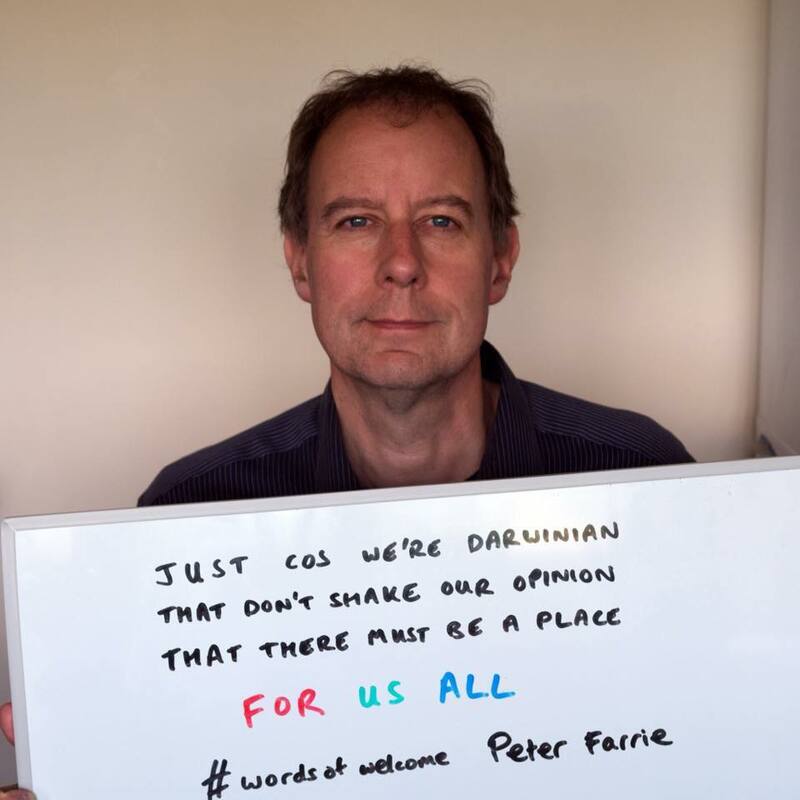 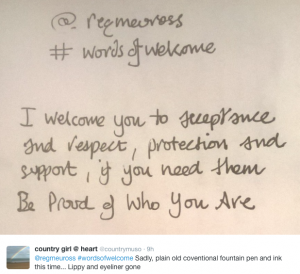 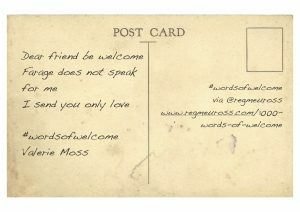 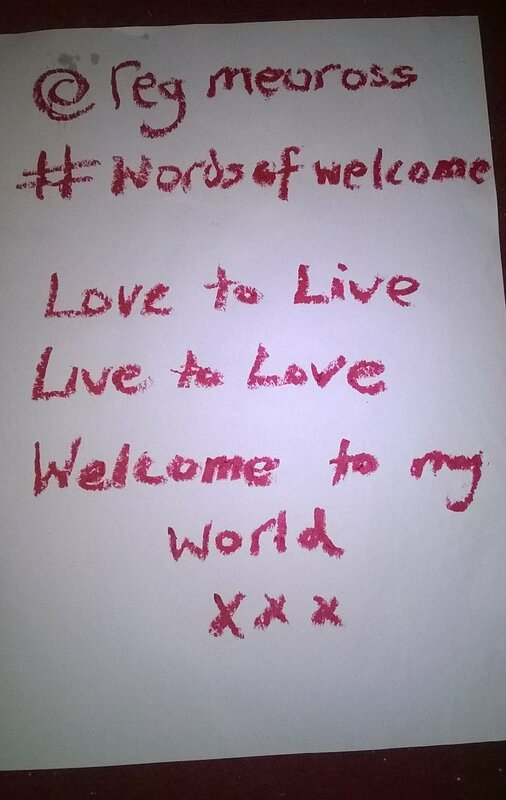 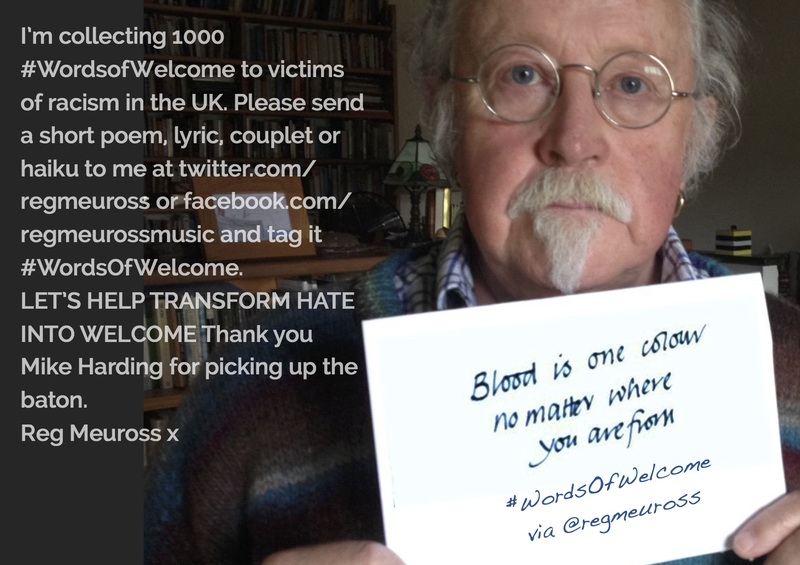 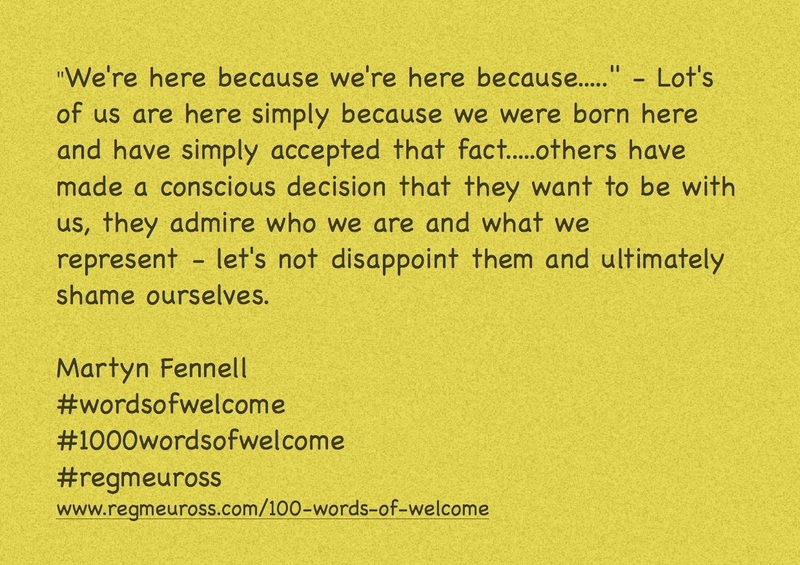 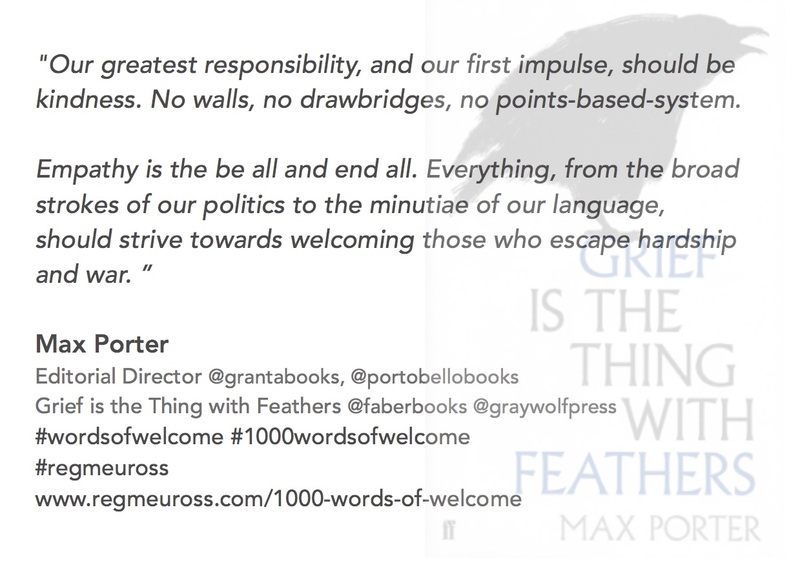 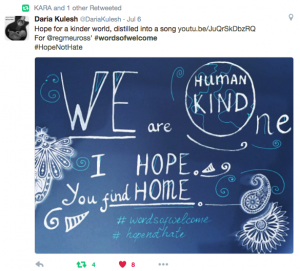 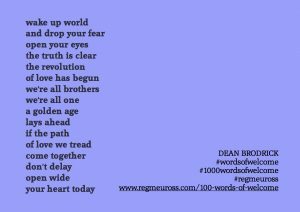 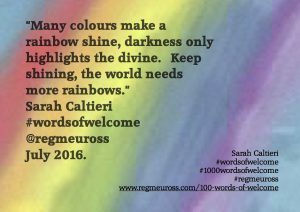 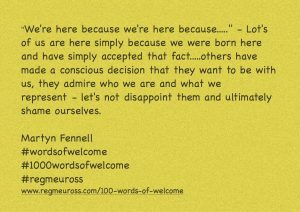 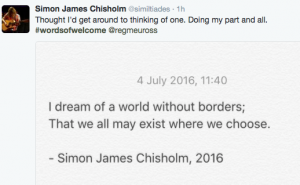 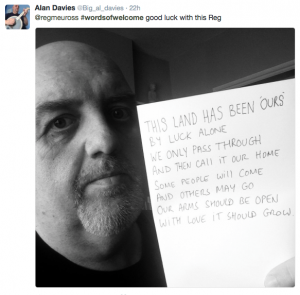 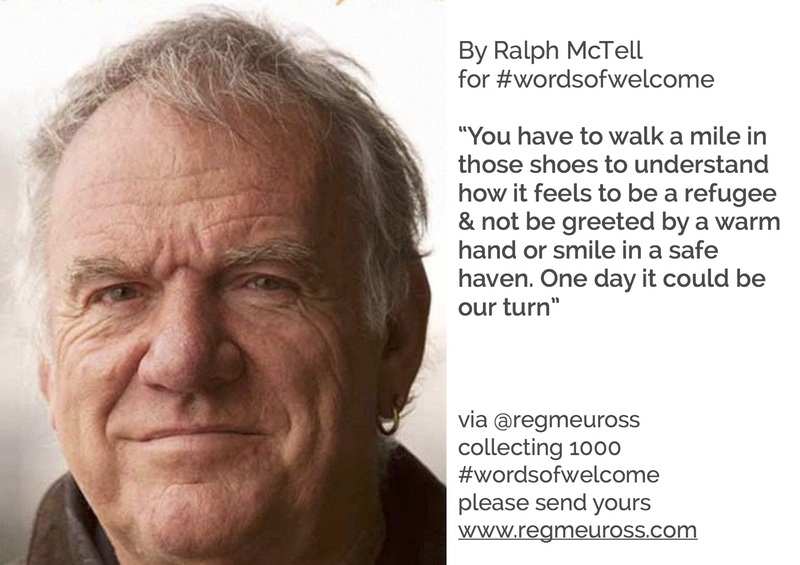 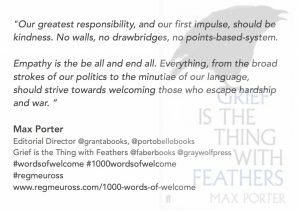 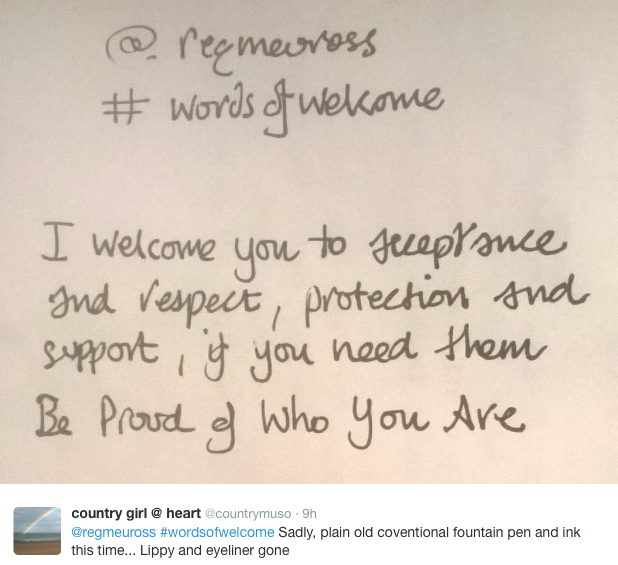 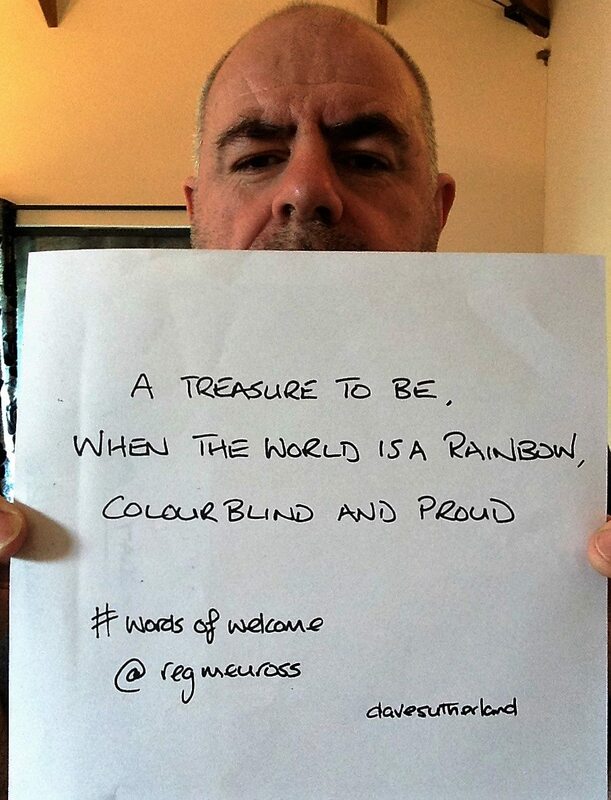 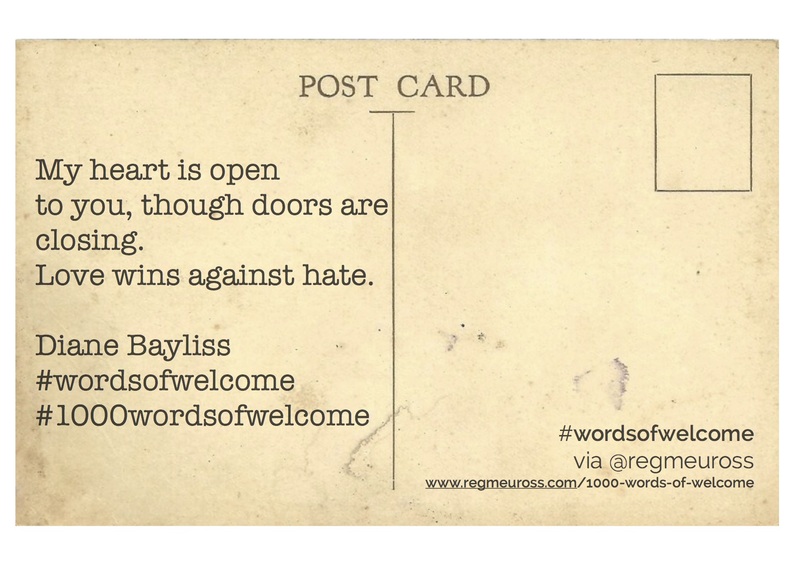 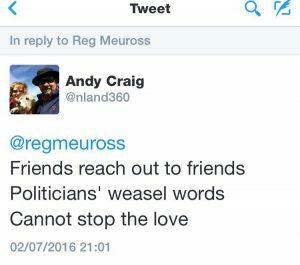 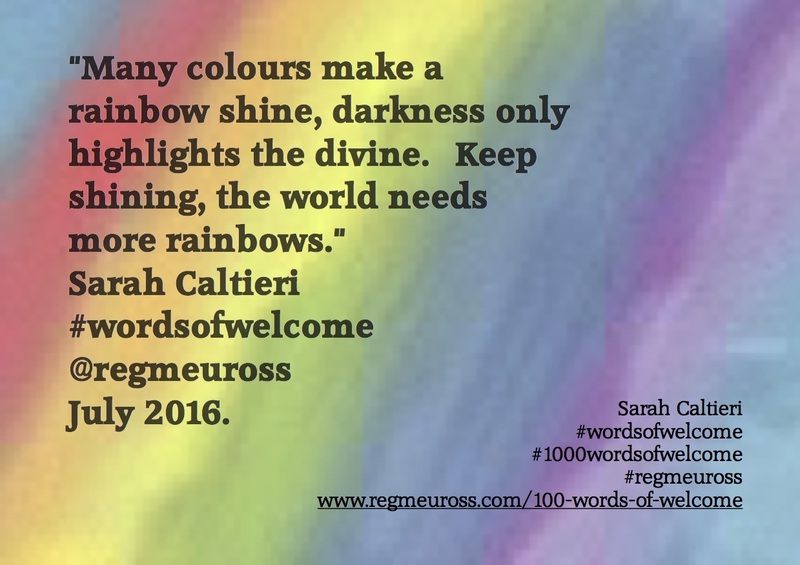 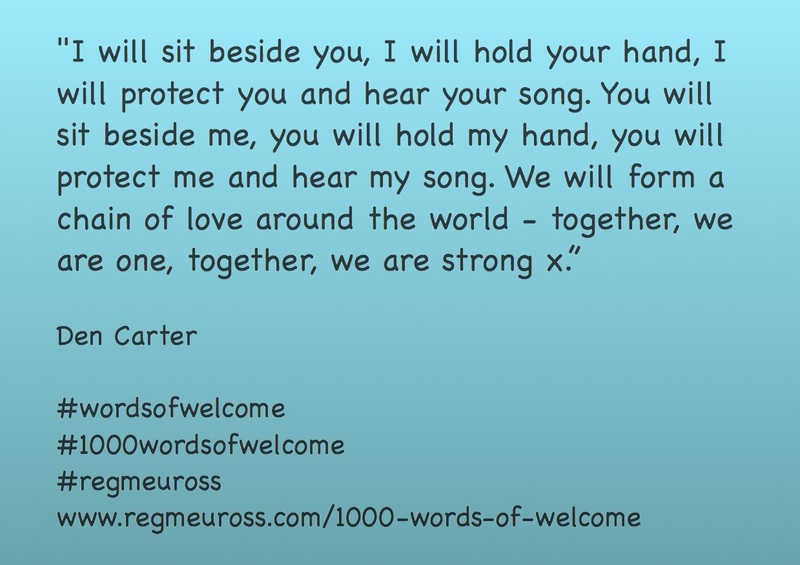 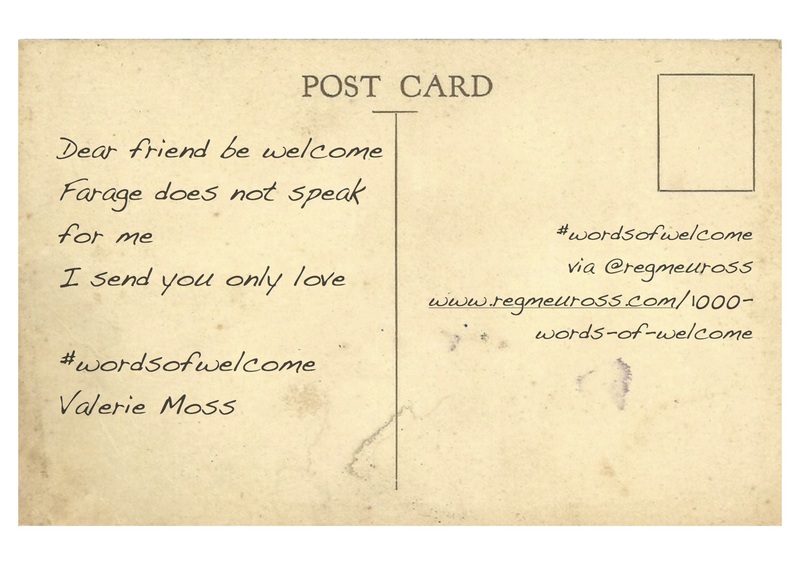 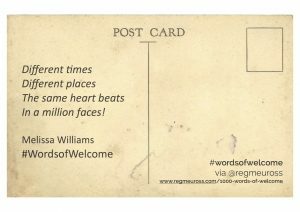 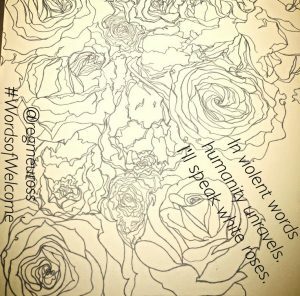 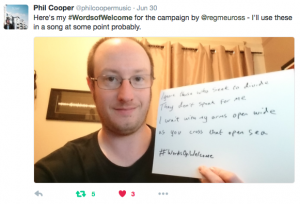 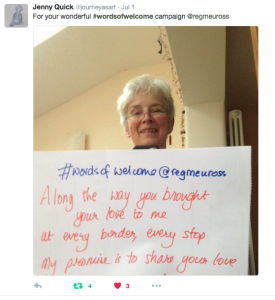 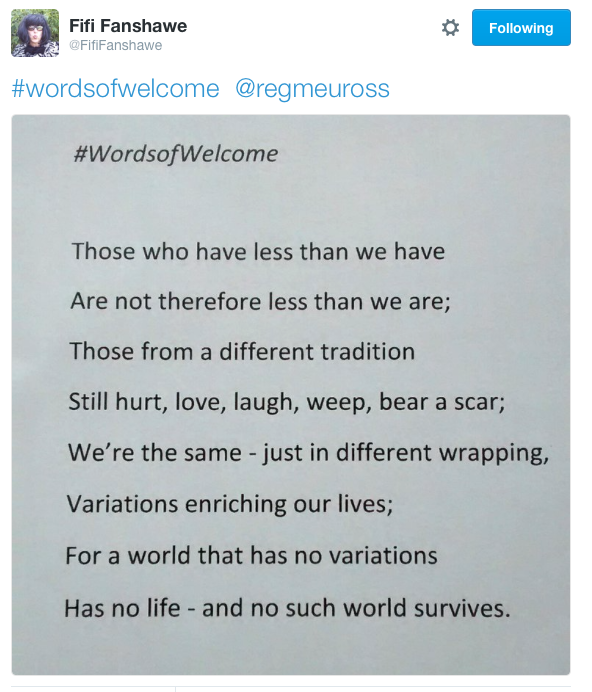 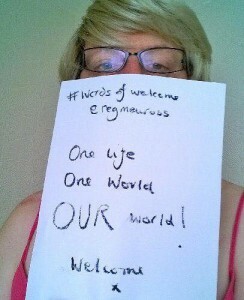 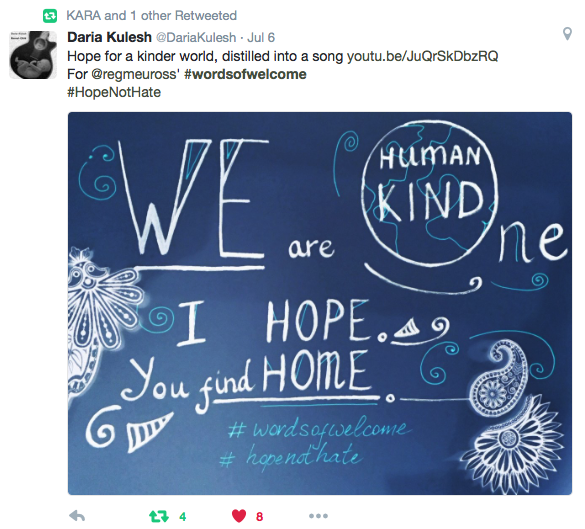 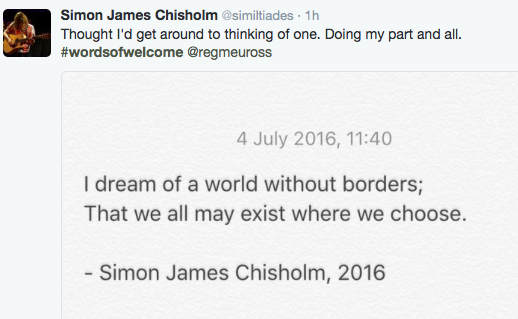 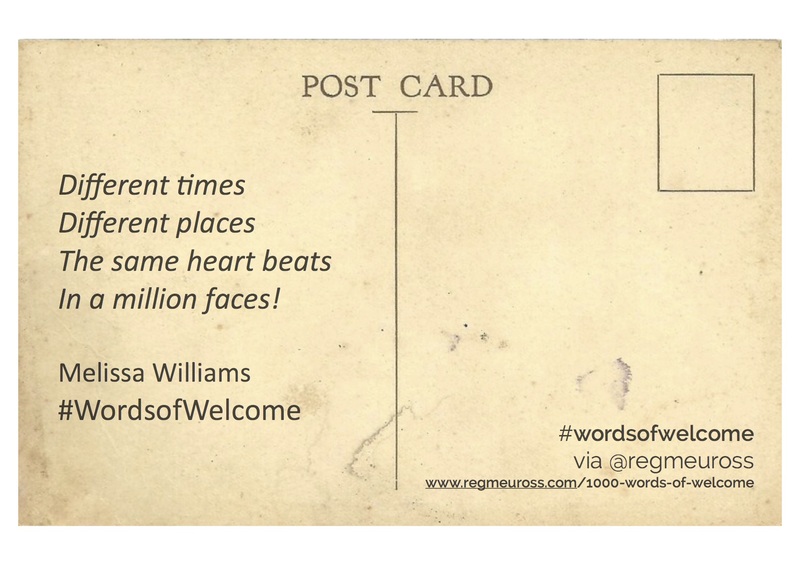 Please don’t forget to tag me or use @RegMeuross and the #WordsofWelcome hashtag – I really don’t want to lose any of your words! 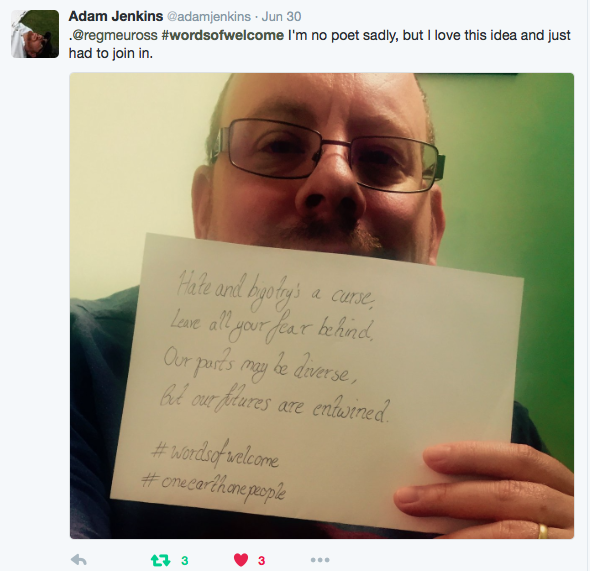 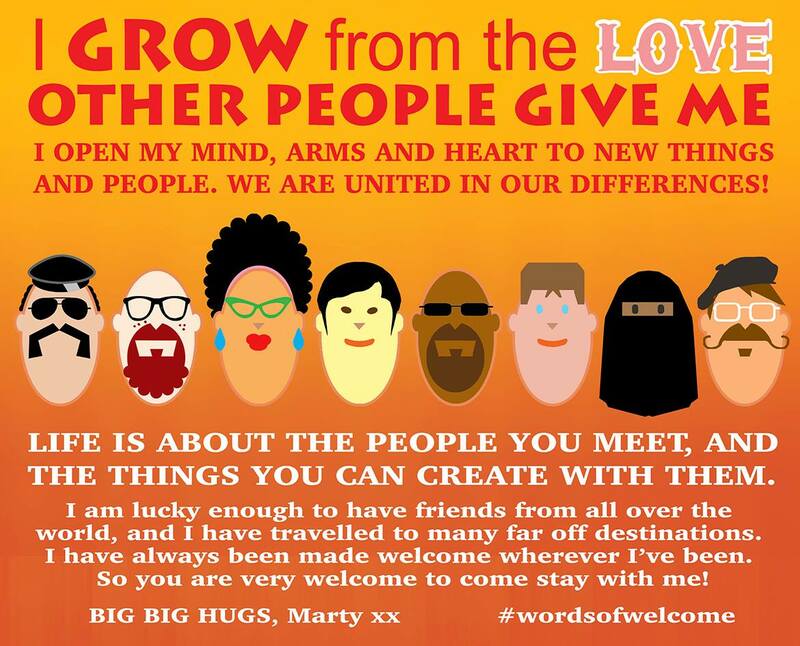 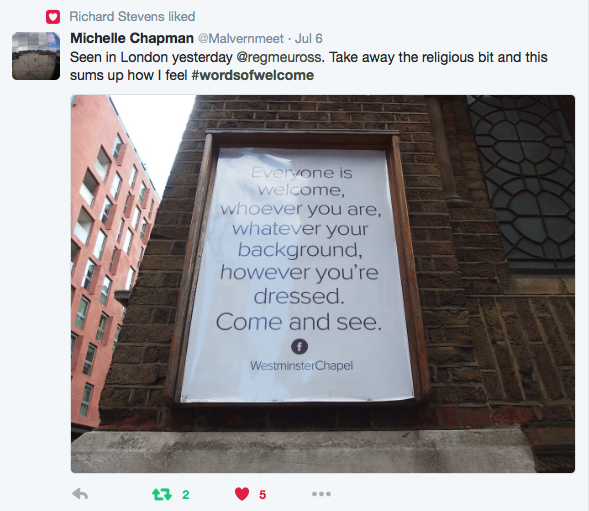 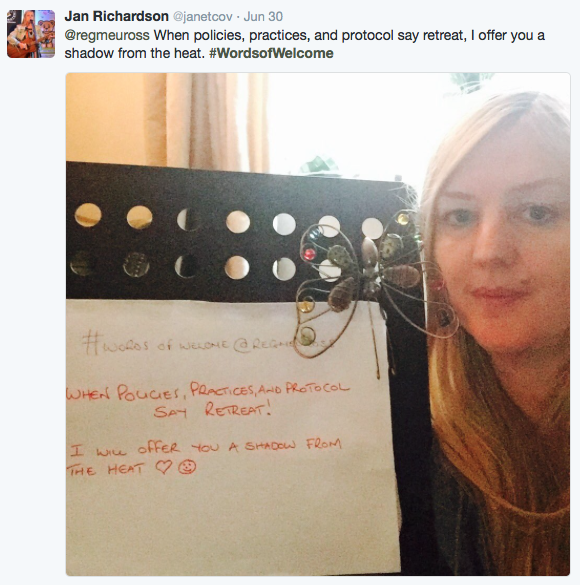 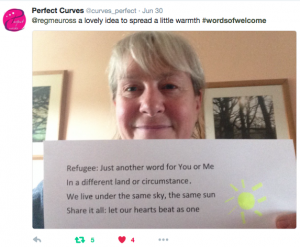 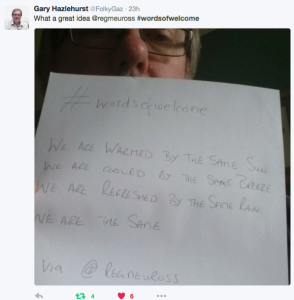 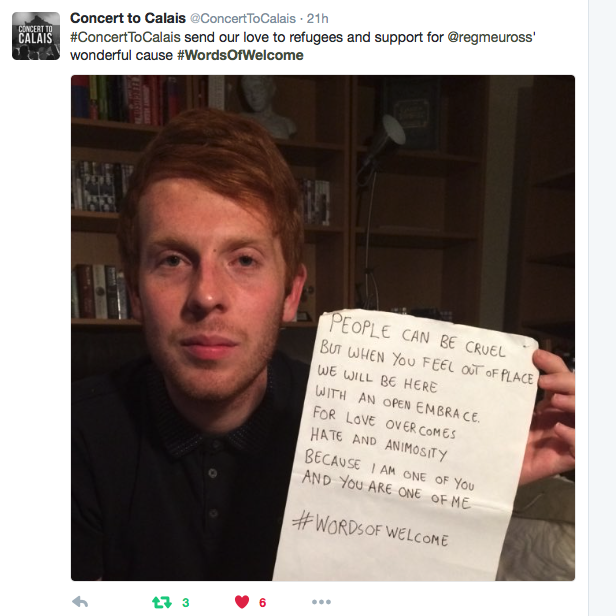 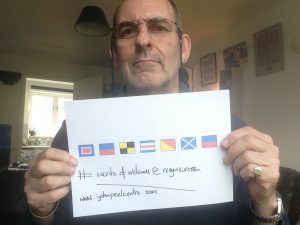 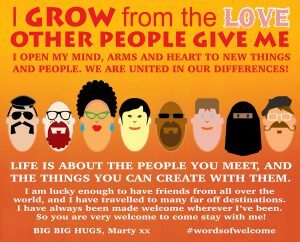 Please do share this far and wide, but always ask people to use #WordsofWelcome so we can pick them all up and collate them. 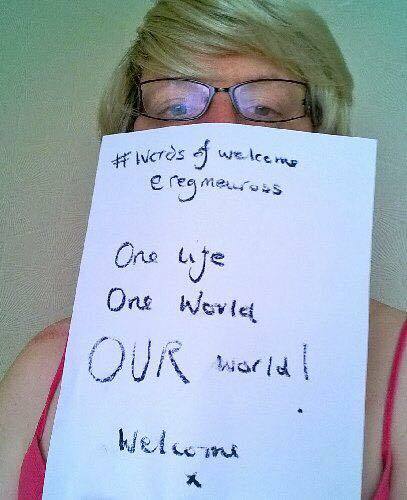 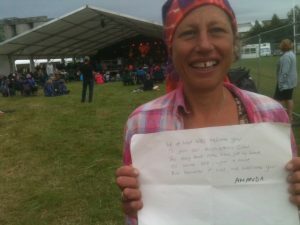 If you would like to take a picture of yourself holding the words that would be really fantastic too. 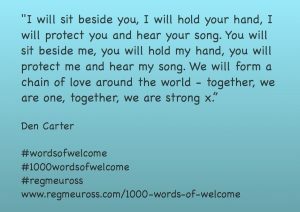 Come, welcome, take my hand and let us walk together side by side and leave our footprints in the sand today and every day, and let tomorrow become today, for tomorrow never comes. 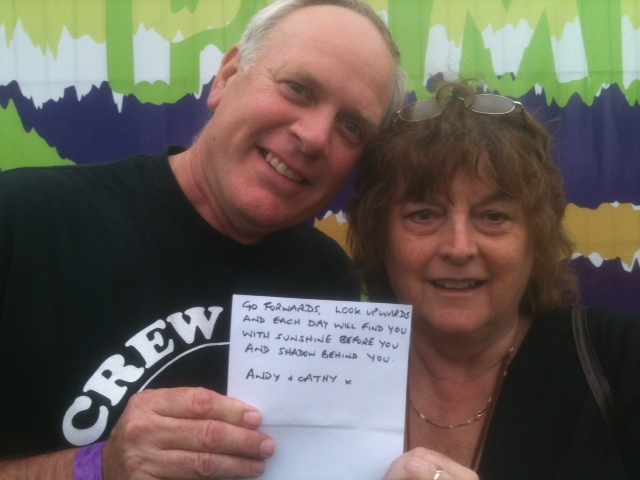 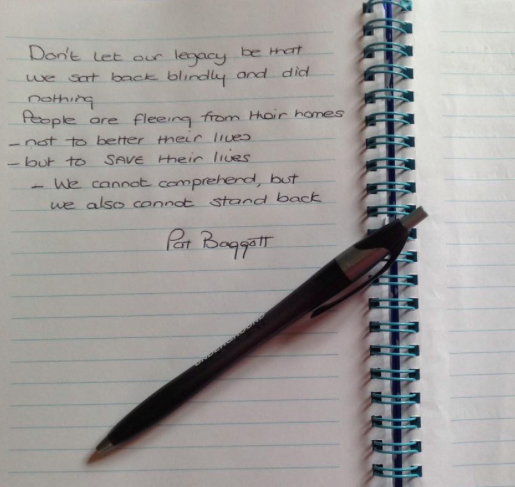 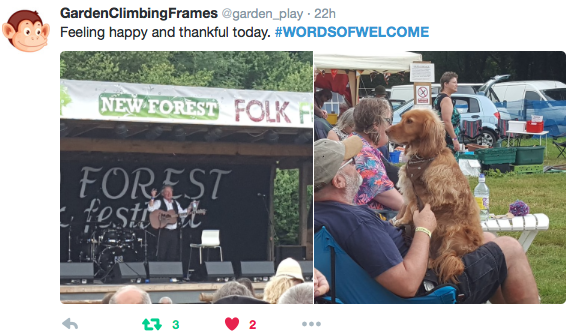 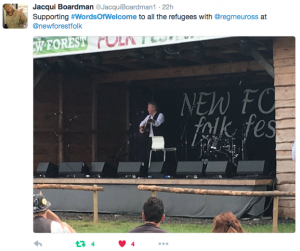 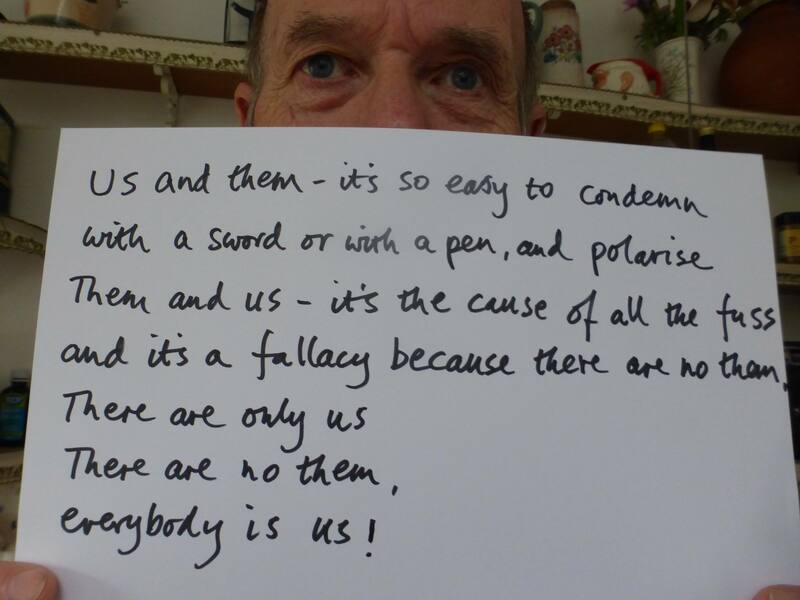 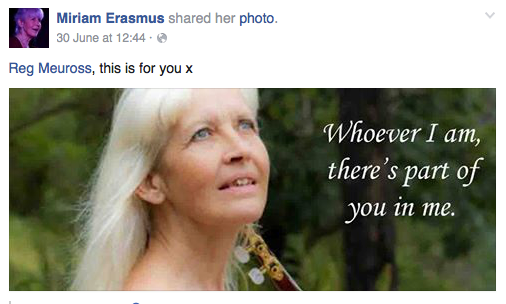 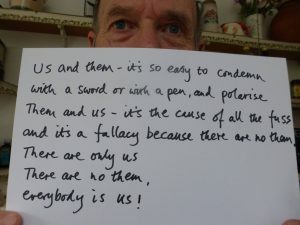 Interesting to see Ralph Mctell at the top of your page – the words that instantly spring to mind (hope Ralph doesn’t mind us sharing the chorus from his brilliant song)…. 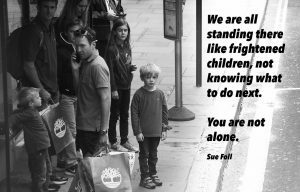 Phil Ochs 1963 still true half a century later.